Use your inner wisdom to make better decisions, overcome self-doubt, and live the life you were meant to live. What's Your Intuition Trying to Tell You? Gut feelings, instincts, synchronicities, signs. Learn how to make sense of it all. Strengthen your intuition by noticing and keeping track of all of the different ways that intuition shows up in your life. Connect the dots and make sense of all the ideas, thoughts, feelings, hunches, and coincidences that you observe. 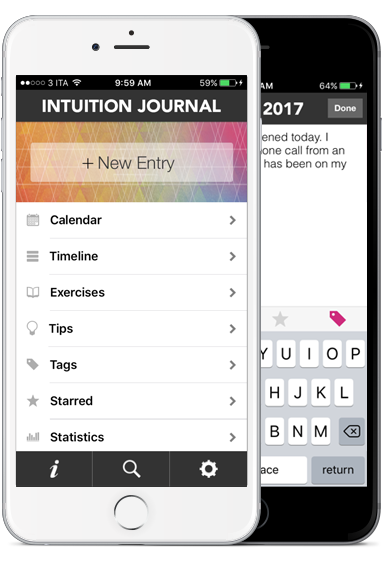 Use the intuition tips & exercises to make better decisions, solve problems, & create positive changes in your life. ♥ Capture flashes of insight, ideas, and inspiration the moment they occur. 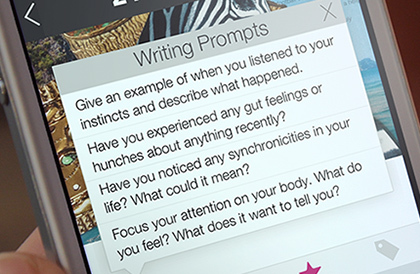 ♥ Keep track of hunches, ideas, gut feelings, and dreams. ♥ Log any coincidences and synchronicities that occur. 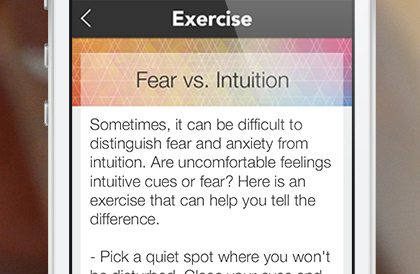 ♥ Develop intuition using the Tips and Exercises included in the app. ♥ Better understand what it all means. ♥ Learn how to trust your intuition and put it into action. 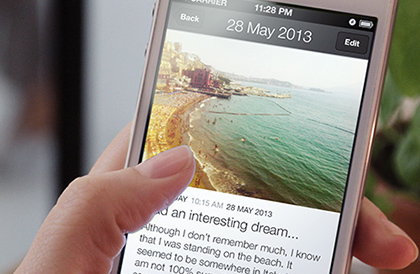 Easy-to-use journal that you can access anytime, anywhere. 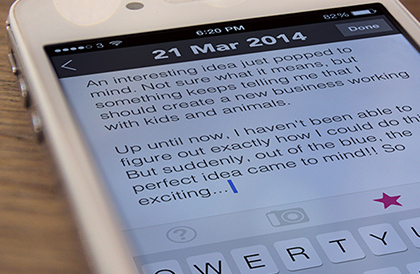 Writing prompts stimulate ideas and make it easy to get started. 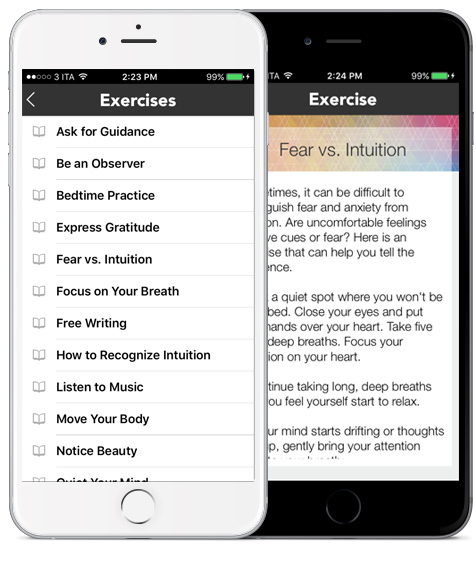 Tips and exercises help strengthen your intuition. Reminders keep you on track and help you stay motivated. Passcode protection keeps your information safe and secure. 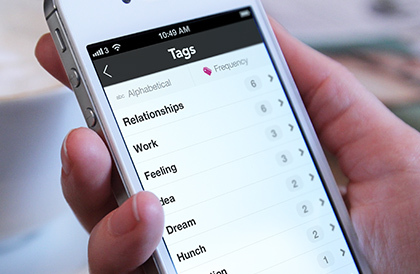 Tags make it easy to organize and keep track of everything. 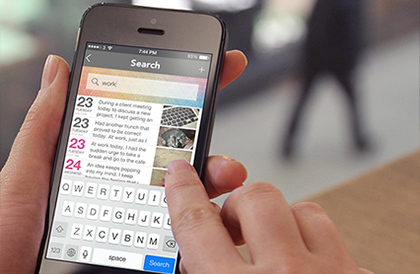 Search feature makes it easy to find whatever you are looking for. Track your progress and feel good about your improvement! We all have a powerful guidance system within. The key is to learn how to use it. Overcome Fear and Self Doubt. Do you overthink things or second-guess yourself, then end up feeling overwhelmed and confused? By tapping into your intuition, you can view situations, options, and potential solutions clearly instead of feeling confused and overwhelmed. As you learn to recognize and trust your intuition, knowing the best path to take becomes easier and you feel more confident in your decision making. Like a muscle, the more you use your intuition, the stronger it becomes. Start harnessing the power of your intuition. Sign up to receive tips, tools, & inspiration to help you develop your intuition and harness the power of your inner wisdom. Copyright © 2013 Spacer Three LTD. All Rights Reserved. Made with ♥ and gratitude.